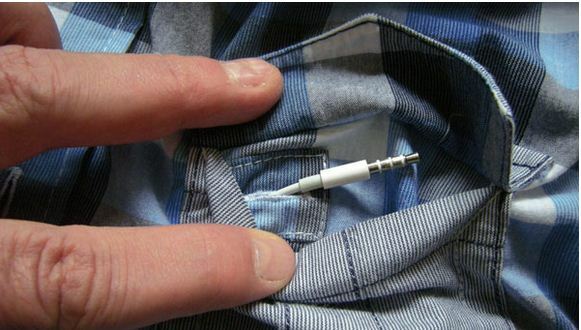 How many times have you fumbled while trying to connecting the earphone to your smartphone and try to adjust & hide the cables inside the shirt? At least I fumble everytime. It’s really a daunting task to pull out the earphone and try to connect it to the smartphone and struggling to wrap the cable around the collar, Uff…by the time I would have dropped my phone at least couple of times. 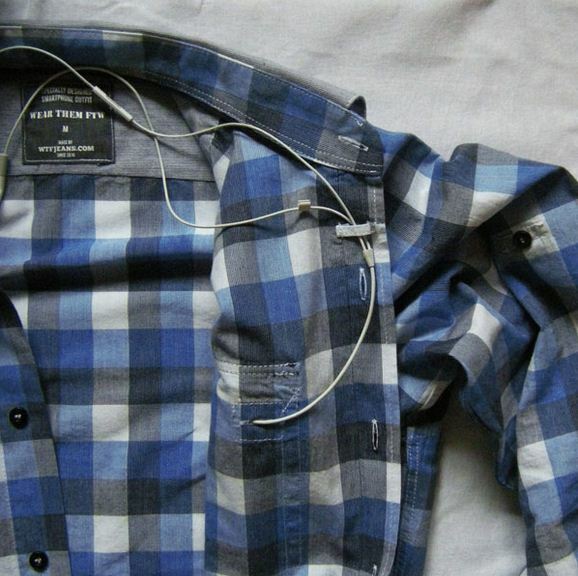 Fortunately, WTFJeans – a company from Seriba, Europe has come up with a new shirt called “WTFShirt”, which has a holder for your smartphone, a gap for piercing headphone cable and a hidden cloth to clean your device. 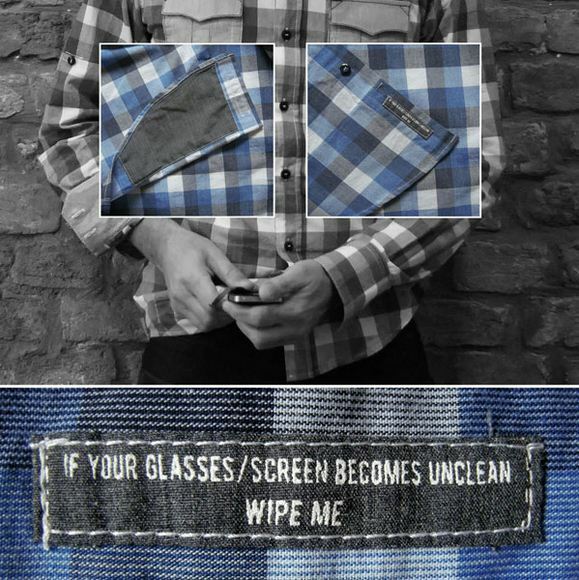 WTFShirt will have two pockets in the front, specially designed for iPhone 5, but can fit any device that sizes up to 4.87″ x 2.31″ x 0.30″. The pockets will come with a small gap adjusted for a headphone and a holder inside the collar to keep the cable clutter free. But what’s interesting with the shirt is, it comes with a hidden cloth on inner side of the right bottom corner that can help you to clean the device. Currently the project is listed in IndieGogo and the shirt is available for $59, with estimated shipping in April. Is this a cool idea? Will you buy this shirt? Let us know your comments.